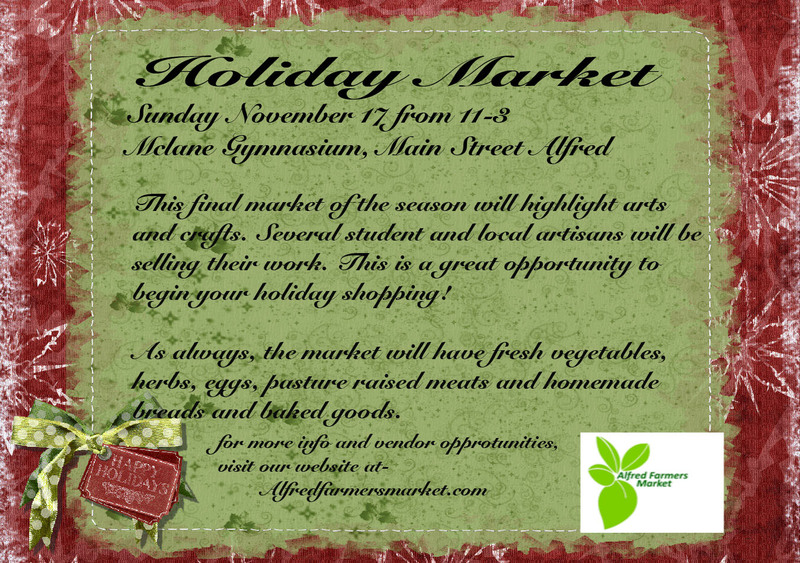 Beginning this Sunday, October 27, the market will move to the ground floor of the McLane gymnasium on North Main Street in Alfred (building #7 on this Alfred University campus map). While we love having the market outdoors, we also want our patrons and vendors to be comfortable. The market will remain in this location through Sunday, November 17, the last market of the season. We hope to see you at McLane!